You can’t imagine Montgomery County without Beech-Nut. The global company has been making food products here for more than a century. Beech-Nut’s role in building Montgomery County economically and culturally cannot be understated. Among first President Bartlett Arkell’s contributions to the community was the world-class Arkell Museum. The Canajoharie and Fort Plain sites, once cornerstones of those communities, were becoming obsolete and it was time to retool at the tail end of the 2000s. Beech-Nut needed an entirely new site to integrate all infant-food production as well as its North American headquarters. This would allow the company to be competitive long-term in a very tough market with much larger competitors. Beech-Nut set up shop in Canajoharie in 1891 as the Imperial Packing Co. Before long, the manufacturer was specializing in … everything: bacon, ham, peanut butter, coffee, strained foods, chopped foods, soups, candy and chewing gum among its diverse product lines. Despite being a premier producer of baby food and giant in the industry today, the company had no desire to move out of the region that had supported it for so long. Company leaders say its goals were to stay close to the advantages that had afforded Beech-Nut more than 100 years of success. “We’ve got a very talented workforce that we wanted to maintain,” Dahlen said. 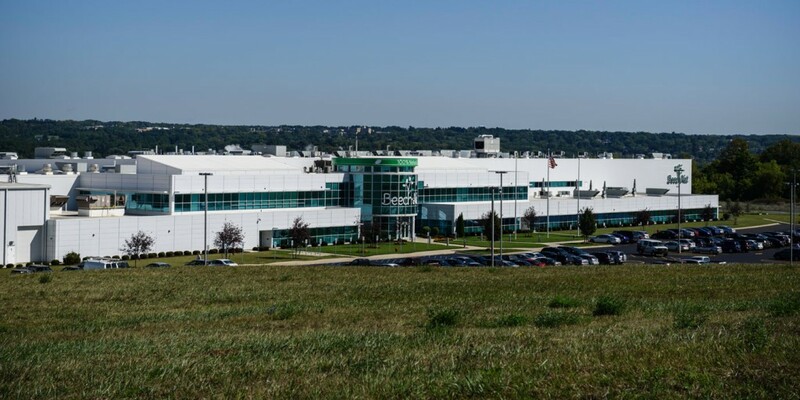 Proximity to agriculture, access to the Northeast and incredible affordability both in terms of commercial land and housing also factored into the decision to keep 300 employees in Montgomery County. Employees enjoy a quality of life that includes short drives to Saratoga and Albany for entertainment as well as outdoor recreation in New York’s famed Adirondack Park and in Montgomery County itself. Beech-Nut now has the resources to support its commercial plans in a 700,000 square-foot facility that serves as the company’s headquarters as well as production center.